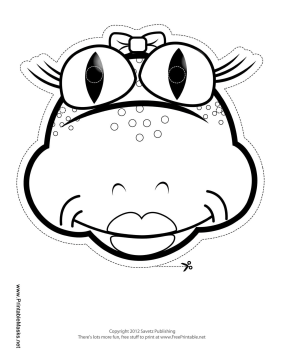 For the coloring enthusiast, this frog lady mask is a real treat! Her big lips, eyes, and bow are all ready to become the color of your choosing. This mask is free to download and print.